Finally, after a long bye week, the Chiefs are back in action. Kansas City will face the division rival Raiders for the first time this season. Both teams have been on opposite spectrums throughout the 2018 season, as the Chiefs are 9-2 and Oakland sits at 2-9. Let’s go ahead and look at some headlines going into this Chiefs-Raiders matchup. For those that missed the news from Friday about Kareem Hunt, you can check that out here. As a result, Hunt was released by the Chiefs. Spencer Ware, Damien Williams and Darrel Williams will likely all get opportunities, but Ware is likely to assume the largest role. Luckily for the Chiefs, Ware had a pretty good year and a half as the starter from 2015-16. Ware compiled over 1,300 scrimmage yards in 2016 with five touchdowns. It could take a while for Ware to get back to that kind of production, but he’s been someone who has shown up when he’s been counted on in the past. To put it lightly, the Raiders ship has floated astray this season. Head coach Jon Gruden left the television booth and his return to coaching for the first time in a decade has been heavily criticized from the minute he was hired. Besides trading away two high profile players on each side of the ball, Gruden has had a rocky relationship with quarterback Derek Carr. It was just two years ago that Carr was playing as good as any quarterback in the league. His strong play in 2016 led the Raiders to their first playoff appearance since 2002. But, Carr suffered a broken leg before that postseason and he hasn’t been the same since. Carr hasn’t had a whole lot of help through this season. The Raiders have allowed 36 sacks this season, the fifth most in the league. Besides trading away Amari Cooper, the Raiders have hardly seen any production from veterans Jordy Nelson and Martavis Bryant. Their receiving core is so depleted, that tight end Jared Cook has been the best option for Carr to throw to. Despite the offense putting up 44 points in the loss to the Rams, Patrick Mahomes used the bye week to get back to the basics. Mahomes made some nice plays in the loss. But it was one of the few of times this season where the quarterback turned the ball over multiple times. Kansas City has not turned the ball over much, and most of Mahomes turnovers has not come back to bite the Chiefs. Last game was a different story. If Mahomes can have a clean game on the road Sunday, the Chiefs offense will have no problem in gearing up for the home stretch of the regular season. Just at the right time of the season, the Chiefs are getting healthier. Mitch Morse, who’s been out since Week 6 with a concussion, returned to practice this week. Morse is slated to play on Sunday. The entire Chiefs fan base has been longing for the return of Eric Berry as well. Berry last played in the regular season opener last year. He suffered a torn achilles in that game. Then this preseason, a heel injury described as a Haglund’s deformity, kept him from practicing for over 100 days. Nothing is for sure that he plays on Sunday. But for what it’s worth, Andy Reid did say that Berry got some reps with the ones at practice this week. When Daniel Sorensen came off of injured reserve earlier in the season, the Chiefs eased him in more so than they did with Berry this week. Entering Sunday’s contest, Travis Kelce is 86 receiving yards away from becoming the second tight end in NFL history with three straight 1,000 yard seasons. Another Chiefs pass catcher, Tyreek Hill loves to play against the Raiders. In four career games against them, Tyreek has averaged 71.5 receiving yards per game and 3 total touchdowns. Thank you for reading this Chiefs-Raiders preview. With all of the news coming out of Kansas City, stay connected to Full Press Coverage for more details. – Braden Holecek is a Kansas City Chiefs writer for Full Press Coverage. He covers the NFL. Like and follow on Follow @ebearcat9 Follow @FPC_Chiefs and Facebook. 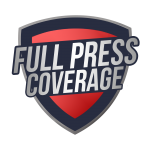 – Kyle Senra is the editor for the Kansas City Chiefs on Full Press Coverage. Like and follow on Follow @nyama_ks Follow @FPC_NFL and Facebook.